Dating from 1532, this is among the earliest known maps to depict the Amazon River. (The cartographer is unknown.) Only the mouth of the river is shown, as the interior was unexplored. Also shown is the east coast of South America (down to present-day Rio de Janeiro) and the Caribbean. 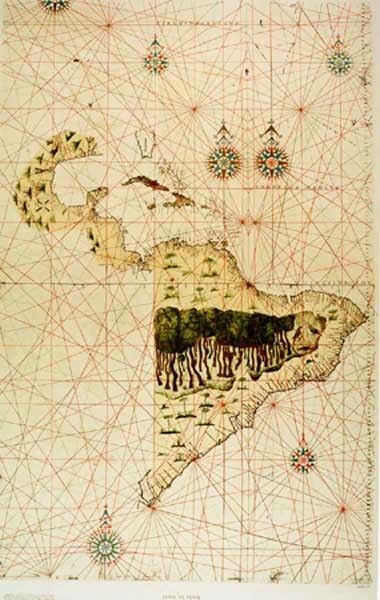 It is astonishing to realize this map was made only 40 years after Columbus first discovered the Americas.